In this interview, Sowore gives the full account of the “drama” that played out when he visited the Ooni of Ife recently. 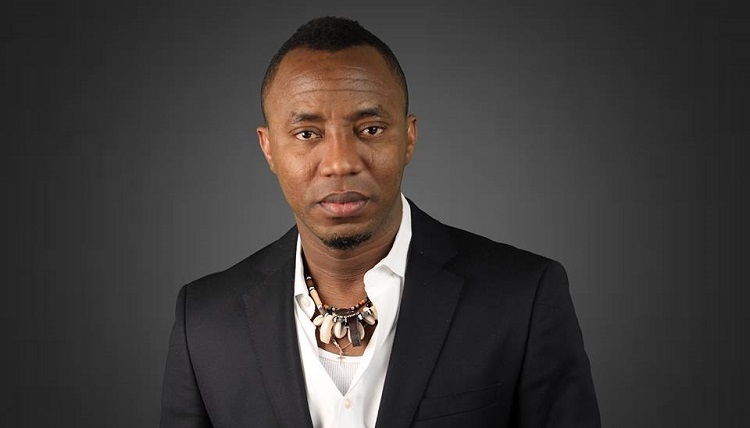 The convener of ‘Take It Back Movement’ and presidential aspirant on the platform of African Action Congress (AAC), Omoyele Sowore, has said that he is not afraid to be in the presidential race even when the action might pitch him against some politicians he has had to fight in the past. In this interview, Sowore gives the full account of the “drama” that played out when he visited the Ooni of Ife recently. He also bared his mind on the state of the nation, the forthcoming general elections and his unrelenting quest to unseat President Muhammadu Buhari in 2019. How was the transition from being an activist and a social crusader to being a core politician to the extent that you are now in the 2019 Presidential race? I do not see myself as a politician, and I have not in any way transited from being an activist to a politician. I know what it means to be called a politician in Nigeria. You have to be corrupt and all that. I only see myself as a revolutionary leader. As such, I have not derailed from my core activism. People like Obama are never called politicians. Nelson Mandela was never called a politician till he died. On the whole noise on Take-It-Back everywhere on the social media, what are you actually taking back? I am taking back our country and dignity and all that has been taken from us that could have made us a better country. We are taking back what the minority has taken from our country. We are taking back our education sector, road infrastructure and everything else that you can take back. Even in the US, Barack Obama is part of the campaign that is bent on taking back what belongs to the people. Using your media platform, you have had to expose a lot of corrupt politicians. Does it occur to you that this same set of people might come for your jugular at this time? To ask if that is going to be a barrier is the very reason I came out to contest. I am not afraid of them. What do you hope to do differently, if you become the next president? 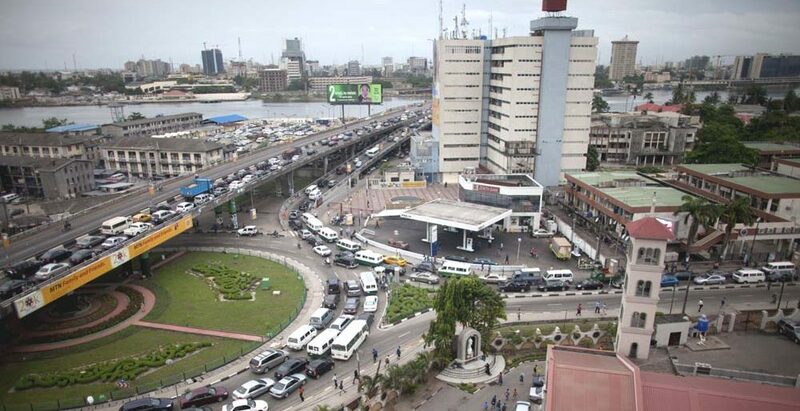 I want to make this country different so that we can meet up with other nations all around the world, in terms of poor infrastructure and the way we fight corruption. We want to cause a revolution that will better the lots of Nigeria in agriculture, tourism, and many more. These are the basics. If you follow very closely, you will see that I have been the one initiating the ideas that have now become a big topic of discussion for politicians. Could you talk about what really transpired in the palace of the Ooni of Ife where you were reportedly teargassed? We were invited to meet the Kabiesi by 12 noon that day and we arrived at 11:48 a.m. Three hours later, we were still left unattended to. You mean you were actually invited, and not that you chose to pay him the visit on your own? If you are not invited, you can’t go into the palace. So, we were actually invited. Three hours later, we were still waiting when I had so many other engagements. Three hours after, nobody explained anything to us as to why we were kept waiting for so long. I respect him a lot. If he was kept waiting, even in the US, I will be the first person to protest against that. So, we were introduced and I went to him and bowed which is what I do to all the traditional rulers that we meet and have met, including the Emir of Kano and the Alaafin of Oyo, even the Olofa of Offa. The person that was moderating the event got upset that I didn’t prostrate for the Oba and you could see that he was so annoyed with us. I was given the microphone and I told the Oba my mind. I said, I wish someone explained to us why we were kept for over three hours. I am a very honest person and I told him that my way of protesting that was to come before you and bow. And I said now that you have explained, we will pay you homage. We were about a hundred that were in the palace. We did that and yet someone said that I didn’t roll on the floor. This was after we prostrated to everyone all around the palace. As we were doing the last prostration, they just teargassed us. I thought it was a joke, but the person who was doing it did not stop. We just couldn’t breathe and even one of the female students with us just passed out. We went out to catch some fresh air and as we did, some guys were already waiting for us and started pushing and manhandling me. I was surprised and asked if that was actually the palace of the Ooni of Ife. So, I turned back to go to complain to him that I had just been assaulted. It occurred to me that this was the same thing they did to Bola Ige before he was killed. He was assaulted at the palace of the Ooni of Ife. I asked the Kabiesi what’s going on. I’m your guest and even if you are upset with me, you can’t treat me like this. We were still gasping for breath and the Ooni said they should take me to a private room, but I refused. I said if anything will happen to me, let it happen to me right in your presence. I heard you wanted to meet a young presidential aspirant like me and that is why I came. At a point, he was insinuating that one of us did the teargassing. That was weird. He also said that the reason I was attacked outside was because people thought that I was leaving him in anger. How do you justify people being attacked for whatever reason within the sanctity of your palace? Anyway, we completed the event and headed for OAU because we needed to meet with the students who were already angry that we were attacked. I had to calm them down and we can back to Lagos. It was recently reported that a coalition of young aspirants against Buhari hit the rocks. Why do you think that happened? There was no coalition that I am aware of. I attended an event of young aspirants in a hotel in Abuja. I wanted to convince one of the young aspirants to join our train. When next we got to the conference, I met over 18 young aspirants and when they proposed the coalition to me, I said I cannot be part of it, but I can always attend their meetings on the basis of availability. I told them straight up that I don’t trust coalitions. One of the things we agreed on was that the individual aspirants needed to go and obtain their nomination forms from their different parties so that we know that we are dealing with people who have parties. We later got to Charley Boy’s house, upon my suggestion. We got there and some people started coming up with some strange ideas and that was how people started making vows. We also agreed to protest for the extension of voters’ registration and PVC collection, but when the day came, they didn’t show up. All I am trying to say is that I was never part of any coalition. I am surprised that they are saying I was part of the coalition. They even cooked up a propaganda saying that I was defeated by Fela Durotoye. I knew from the beginning that it won’t work. In your view, what indices are there to determine the conduct of the 2019 elections? Over 40 million people are registered to vote in this election as announced by INEC. The last election was won by about 14 million. That tells you that we have a lot of disgruntled people. That’s one. Another is that people are tired of the two major political parties, which are marred by corrupt practices. You will see a shocker. People want their country back, but we know that there is a plan to rig the election, but I will tell you something. The person that won Ekiti in 2014 didn’t win the presidential election. The person that won the presidential election in 2015 didn’t have as much money as the then incumbent, President Jonathan. If you look at all these parameters, you can readily point to where things are heading to. What winning strategies do you have in place to win in 2019? People are ready to bet their lives to get what they desire. I have touched 29 states, reaching out to people and I have no doubt that we will win. Not only would we win, we would also have set up a strong political base in the country. In terms of the concrete ideas, maybe you should leave that out. Let me not unravel that. You know in this part of the world, people steal ideas a lot and there are no consequences for such. Just like there are no consequences for stealing money. Voting-buying is prevalent in the political system today. How do you hope to match money for money in the contest, particularly as the presidential race is competitive in terms of spending money? We are not going to be involved in that. That’s not who we are. We are selling ideas. People who buy ideas are going to last longer than people who take money. When you take money, you are foregoing your next road, hospital, salary, etc. What is the future like for the Nigerian youth taking over leadership, against the backdrop of the Not-Too-Young-To-Run mantra? I believe that there must be a generational shift. Democracy must pass through different levels for it to be well consolidated. We have started by removing the military usurpers. We must also have a situation where the minority has a say and the majority has their way. If that doesn’t happen, democracy becomes a fait accompli. There must also be a party-to-party transfer of power. The final process is a transgenerational handing over of baton. The old generation must give way for the younger generation. How do you mobilise funds for your campaign? We do that openly. We are using technology. This is a tech-driven campaign. We are crowdfunding. We go online and ask people to donate voluntarily. So far, we have raised over $70,000. Some even donate through our account with our bank here. Sometimes, I get donations from friends and I also put in my own money. Because we are not buying Gala, Ankara and branded rice, it is costing us less. With a dollar, we can have more impact than our opponents with a thousand dollars. What is your next option, if you don’t win?